As The Game readies his upcoming album Born to Rap, he called on Dr. Dre and Snoop Dogg to pay homage to the slain rapper. Following the death of West Coast rapper Nipsey Hussle, there has been an outpouring of support for the L.A. native, with fans and artists alike paying tribute to him across social media. As The Game readies his upcoming album Born to Rap, Complex reports that he called upon Dr. Dre and Snoop Dogg to join him in paying homage to Nipsey, who was gunned down outside his clothing store in Los Angeles last week. The Game posted a video of trio in the studio together as Nipsey’s vocals play in the background. In another clip, Dre is seen engineering alongside Fredwreck. Kanye West also paid tribute to Nipsey during his most recent Sunday Service, TMZ reports. “Everything about Nipsey was Crenshaw and Slauson. Those are the two streets that ended up taking his life,” The Game said a day before Nipsey’s death. 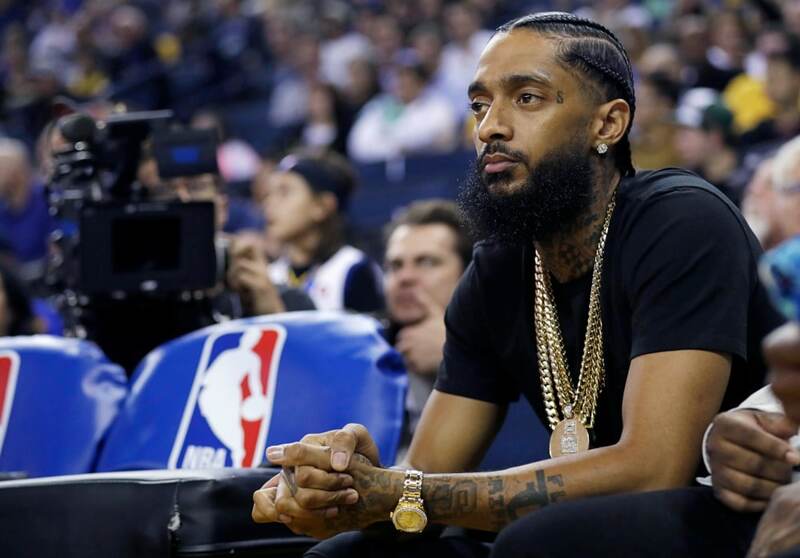 Nipsey’s music is dominating the Billboard charts a week after his fatal shooting. His album Victory Lap has risen to No. 2 after previously peaking at No. 4 when it dropped in February 2018. Complex also reports that four of his previously released mixtapes have also made their chart debut: 2013’s Crenshaw, 2016’s Slauson Boy 2, 2010’s The Marathon, and 2014’s Mailbox Money hit No. 63, 109, 179, and 192 respectively. Nipsey was known for his philanthropy and commitment to giving back to his community, and his death prompted gang leaders across L.A. to march for peace on Friday. Eric Holder, the 29-year-old responsible for the rapper’s death has been charged with the murder. He has pled not guilty. His bond was set at $5 million and he is currently being held in solitary confinement out of fear that other inmates might try to kill him.